The PDP presidential candidate, Atiku Abubakar has travelled to the UK ahead of the formal commencement of his 2019 Presidential Campaign across the country. Atiku has done fingerprints and is now set to get US Visa. 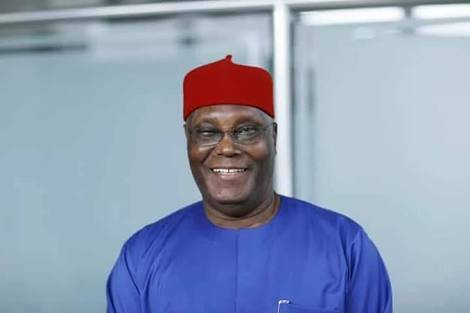 The United States Consulate in Lagos has said matters relating to the application for or issuance of visa to former Vice-President Atiku Abubakar, or any other individual was a confidential matter. This came barely 24 hours after the APC-led Federal Government called on the US government to be cautious about giving a US visa to Atiku. Brooks spoke while fielding questions from journalists seeking to know his view on the raging controversy surrounding Atiku’s application for US visa after attending a programme in Ibadan, the Oyo State capital, on Friday. He, however, called on candidates to focus on issue-based campaigns instead of dwelling on things that were not important to the well-being of Nigerians. 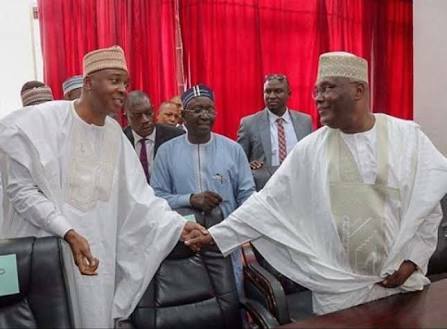 Senate President and Director General of the PDP National Campaign Council, Dr. Bukola Saraki, has also said the opposition of the Federal Government to granting of a US visa to Atiku was a panic and desperate action.